Vincent de Gauléjac is professor emeritus at the Université de Paris VII – Diderot. President of the Réseau international de sociologie clinique [International Network of Clinical Sociology], he is the author of more than twenty books, notably Le coût de l’excellence, Les sources de la honte and La lutte des places. Isabelle Seret has been a journalist and a member of ONG. Trained in victimology, she uses story-telling as a tool in fighting and prevention. Why is jihadism so seductive for young people, including those in the middle classes and among Catholics? To which social and psychological expectations does the prospect of jihadism respond? How can we prevent young people from heeding the call of radicalization? 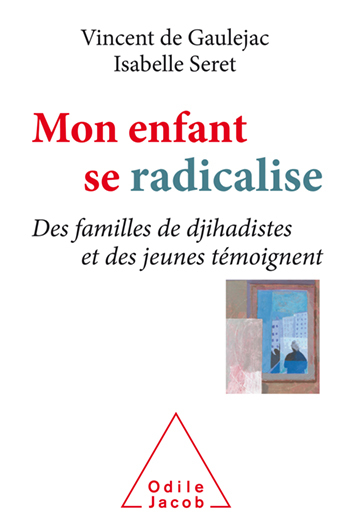 This book starts from two convictions: first, jihadist involvement, however radical it may be, does not necessarily end in terrorist violence, and necessitates a different treatment; second, any approach to prevention must include the families of the radicalized youth and offer them support. It is that support of affected young people and their families, through the lens of story-telling, that is described and analyzed here. It enables the reader to understand in depth the paths, the motivations, and sometimes also the setbacks of these young people. It reveals the contradiction of their families, torn between their emotional loyalty and a devastating feeling of shame. But story-telling is not only cathartic; the authors show, in fact, how to use it within the framework of a pedagogy of dissuasion vis-à-vis other young people.